Published on August 23, 2009 in E-Mail. 8 Comments Tags: Configure, E-Mail, Hotmail, Internet, Live, Microsoft, MSN, Outlook, Outlook 2003, Outlook 2007, POP3, SMTP, SPA, Step by Step, Windows. Require logon using Secure Password Authentication (SPA): Yes. SMTP Authentication: Yes, use the same settings as the incoming mail server. SMTP Connection Encryption: Yes, TLS. 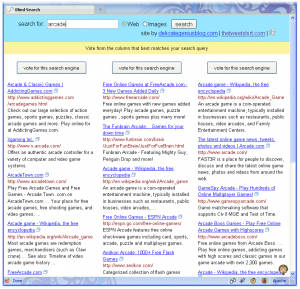 Which search engine would you choose if you just saw their results? Google, Yahoo or Bing? 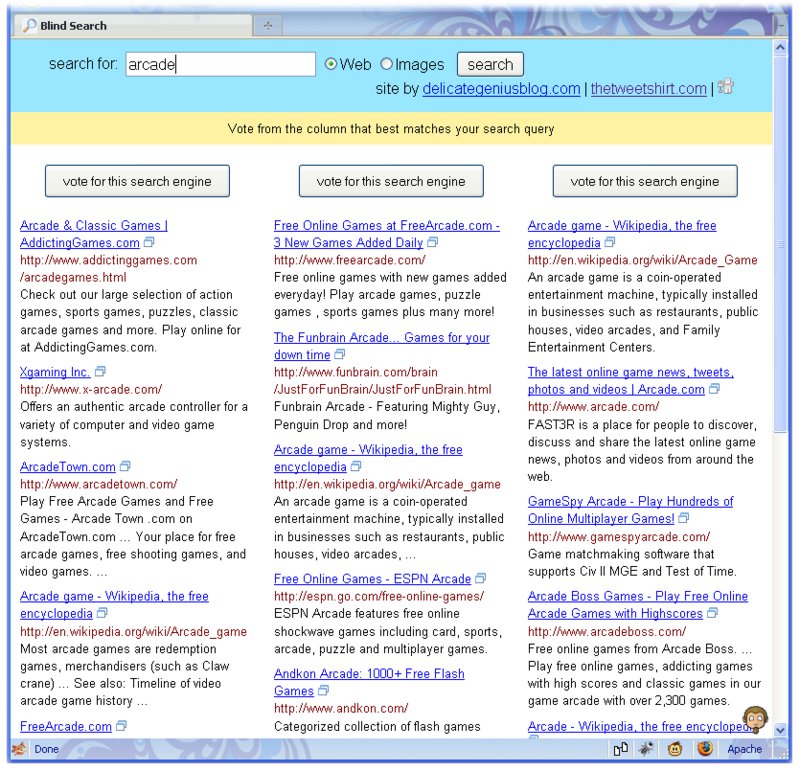 Published on August 20, 2009 in Searching. 0 Comments Tags: Bing, Blind, Choose, Google, Internet, Microsoft, Poll, Results, Search, Search Engine, Statistics, Vote, Website, Yahoo. Blind Search is a very interesting site which lets you search in Google, Yahoo and Bing simultaneously, but with a particular quality: without showing who is the provider of each result list. So you must vote your preferred results before knowing! They have published here the results of the first 8 weeks from the site’s opening (the article is from July). Keep looking at the home page for more current news. Thanks to Fepe for the link!